In the garage pre-practice. 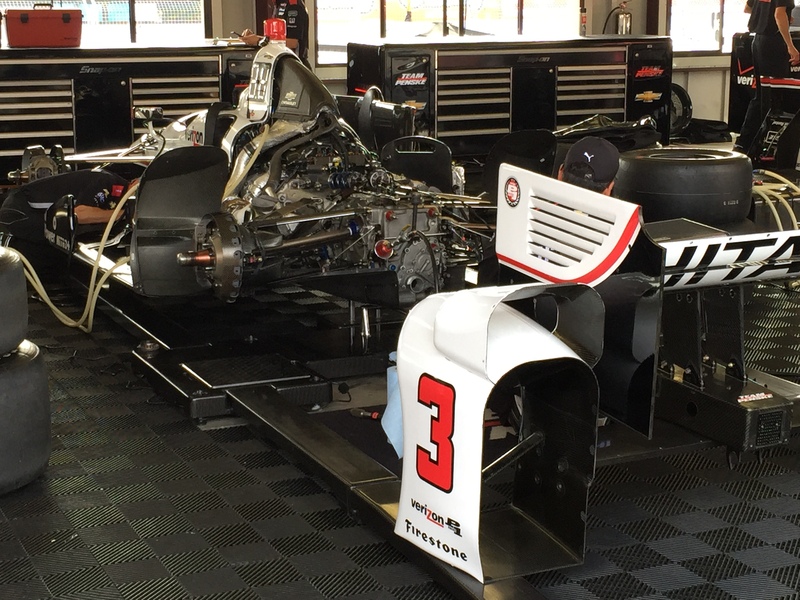 Helio Castroneves’ Number 3 car. My favorite driver. 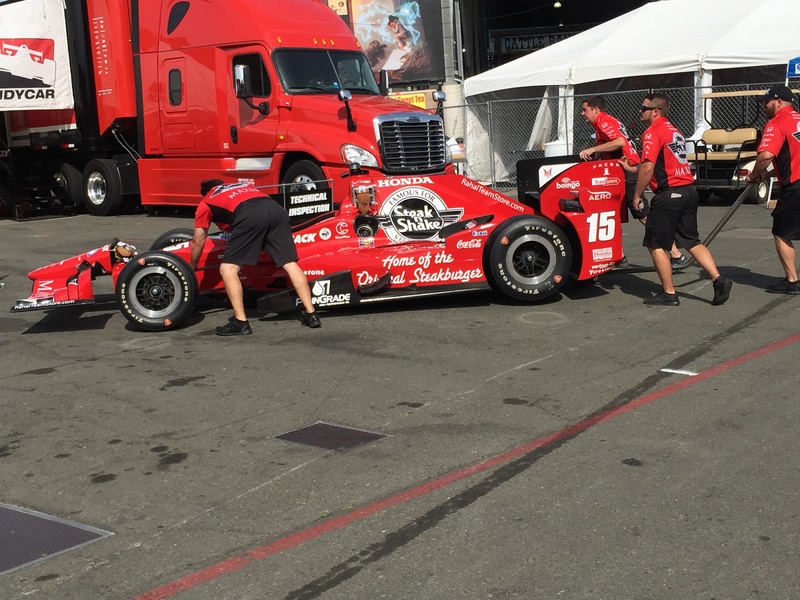 Graham Rahal’s car headed to the inspection area. 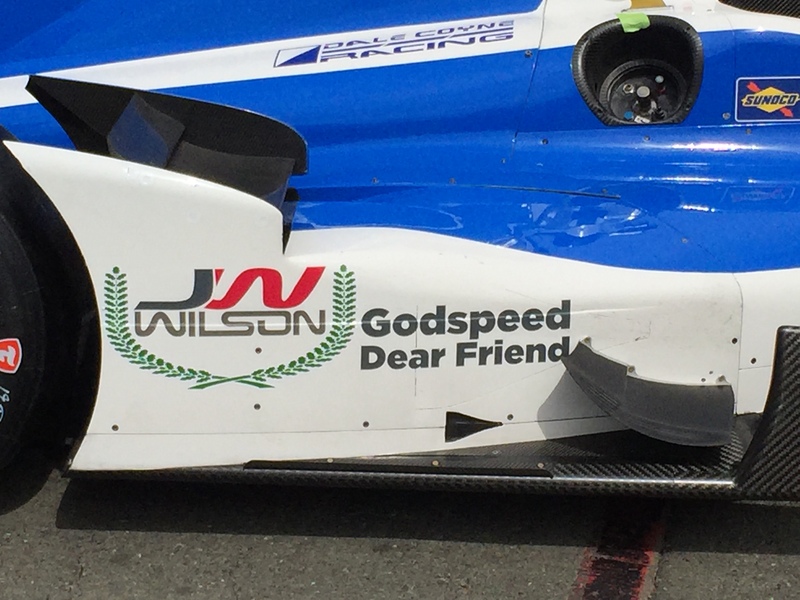 Tristan Vautier’s tribute to Justin Wilson who died in last week’s Indy race. 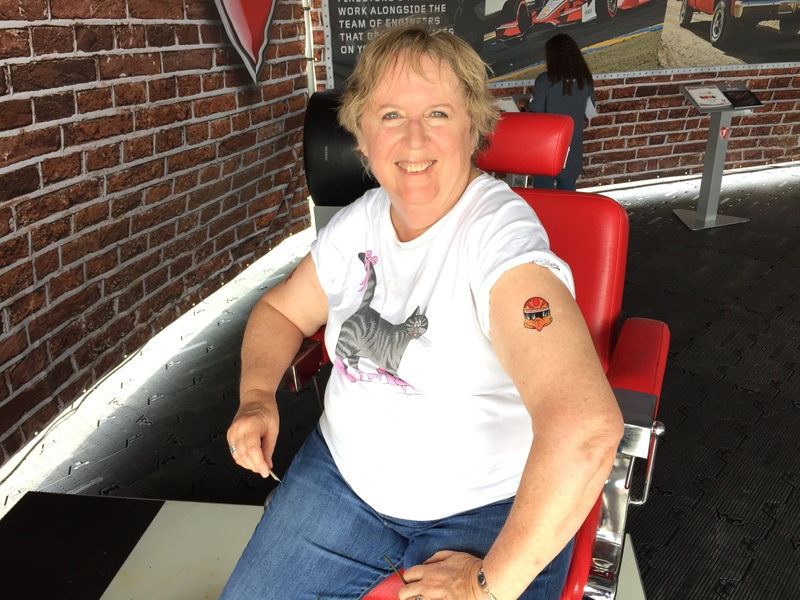 A Firestone “tattoo” for my granddaughters. One on the other arm as well and the same brought home for them to put on tomorrow morning. 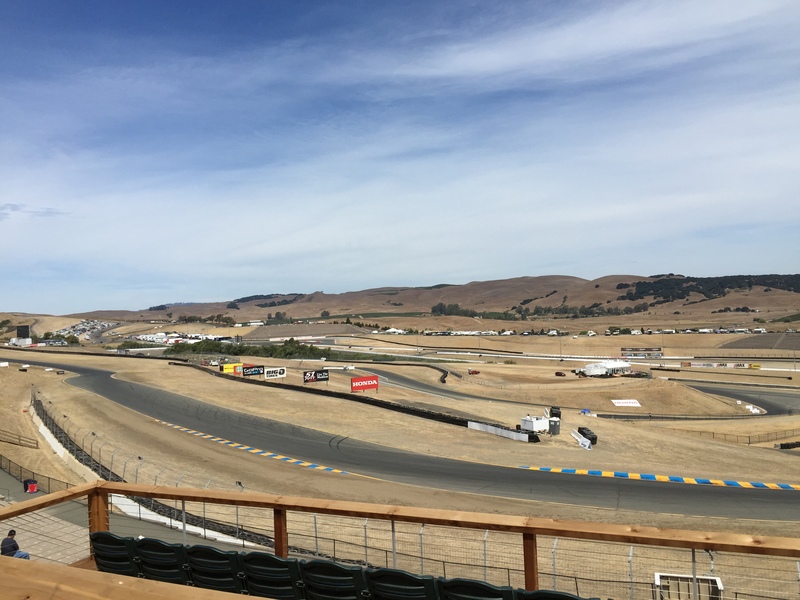 View from the new terrace built atop Turn 2. 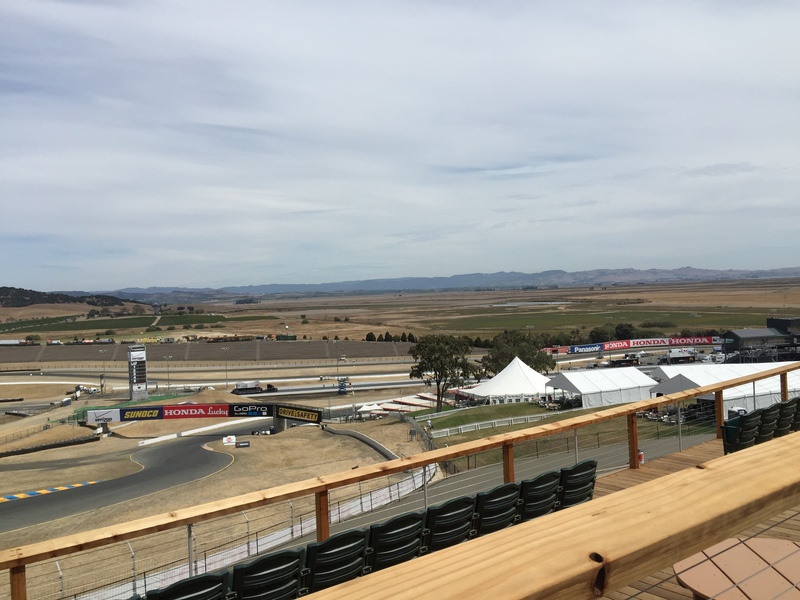 The view to the Grandstand and paddock from the same terrace. 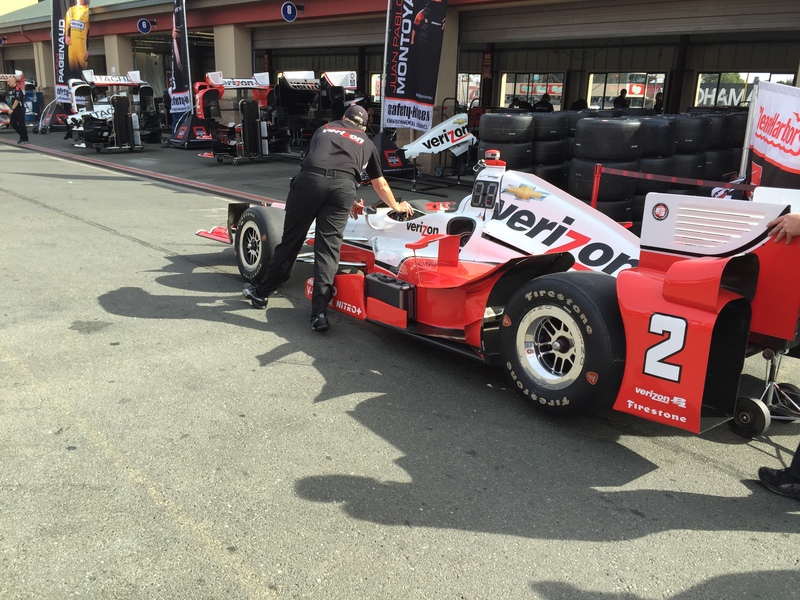 Helio’s car in position number one on pit lane. I have a pit pass for tomorrow to get up close and personal. 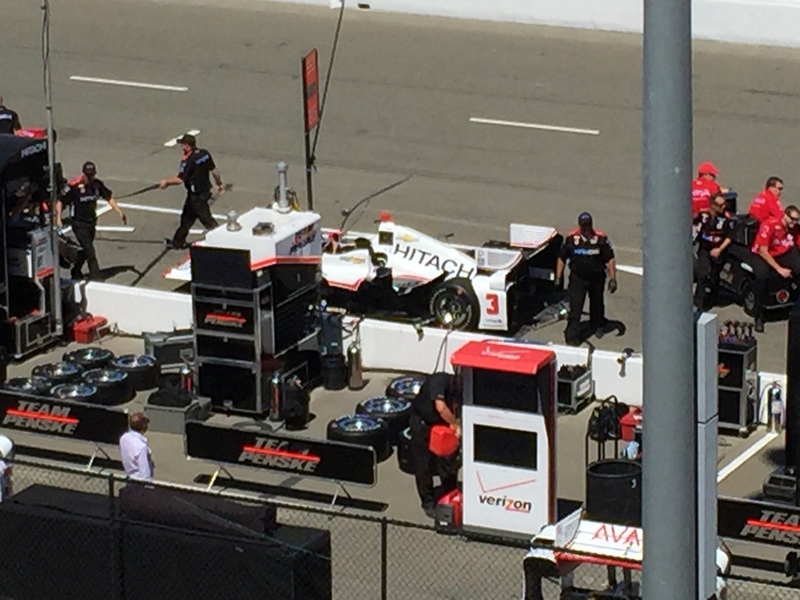 …Helio taking a short cut at Turn 9 and coming down by the grandstand. 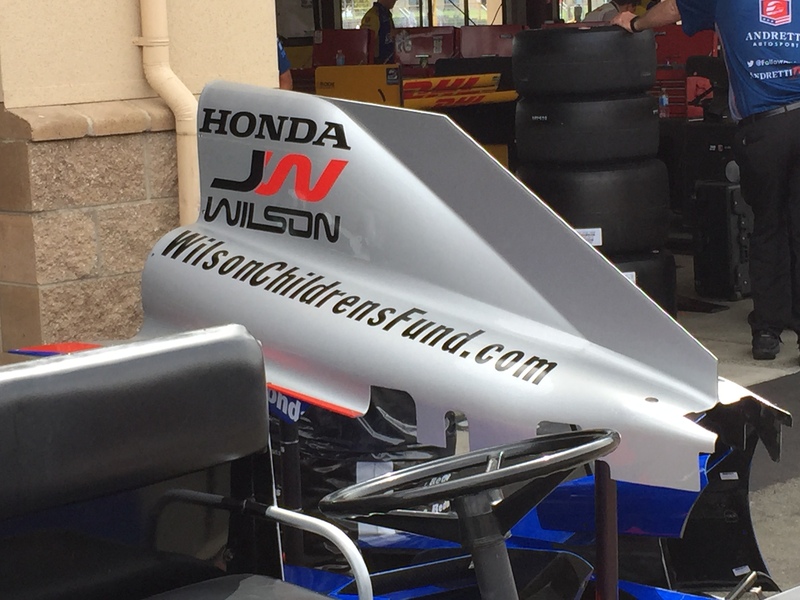 This entry was posted in Grandchildren, Indy car racing, Karen Stephen Author, Sonoma Go Pro Grand Prix, Sonoma Raceway and tagged Firestone, Grandchildren, Helio Castroneves, Indy car racing, Justin Wilson, Karen Stephen Author, Sonoma Raceway by Dr. Karen Stephen. Bookmark the permalink.